As travel to China increases, garden lovers look to specialty tours as a way of experiencing firsthand the unique aesthetic beauty and cultural traditions of Chinese garden design. 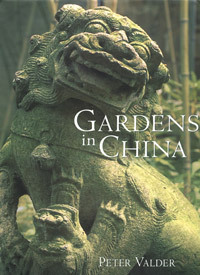 Now Valder's illuminating compilation of more than 200 gardens promises to provide the ultimate resource for future travelers, who, before embarking on a trip, can study and savor images and information on diverse horticultural realms located throughout China. Repeated visits allowed Valder to photograph extensively, resulting in a lavish record of famed Imperial gardens as well as fascinating examples of lesser-known temples, parks, and botanical arboreta. Journeying far and wide, Valder presents a breathtaking study comprised of articulate narrative, compelling historical reproductions, and up-to-date photographs documenting planting styles and the ongoing renovation of buildings and garden hardscaping.